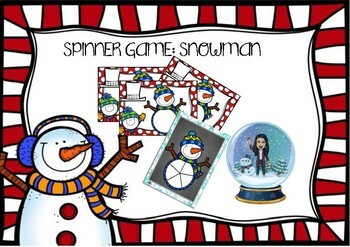 - identify numbers: they will add pom poms to the Snowman as they spin. - identify shapes: they will draw circle, square, triangle... buttons. This resource can work a lot of objectives! you just have to use your imagination. 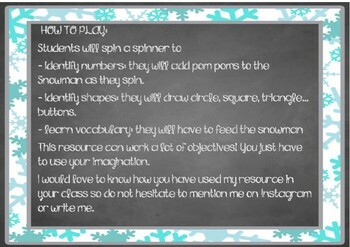 I would love to know how you have used my resource in your class so do not hesitate to mention me on instagram or write me. -To hit the green star on my TPT store to be updated as new products are posted! -To leave feedback after you purchase…I love to hear from you! -Follow me on Instagram @ainhoadlo to get a glimpse into my classroom life!